There is only one clean honest offer on this product range in today's market, call us to find out more. We'll give you the best price and most transparent terms available. Verdict: This is by far the most superior product in the entry level A3 MFD market. 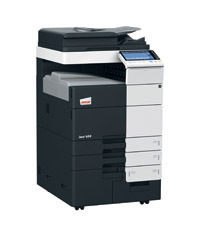 However why would you buy in the Develop branded livery when we can enable you to buy the genuine original Konica Minolta Bizhub C224e at the same price!